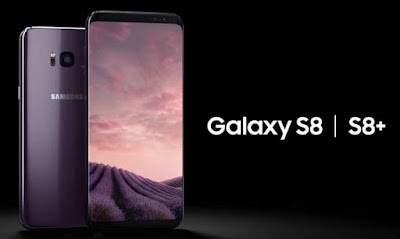 Samsung’s latest flagship devices the S8 & S8+ have been wreaking havoc in the smartphone industry thanks to its new infinity screen or as Samsung like to put it, the ability to "unbox your phone". With its sleek design and obvious lack of physical buttons the S8 is set out to rival the latest additions from Apple. Let’s look at some of the positive and negative points below to find out why this is perhaps the best smartphone in the market today. Infinity Display: A stunning 5.8-inch Infinity Super AMOLED curved display with 2960 x 1440 resolution blows every other phone out of the competition. IP68 Certified – Dust proof and water resistant up to 1.5M for 30 mins. No worries in the Desert or at the beach! Hell yeah! Camera package- The 12MP rear camera will get you the best shots in daylight and the closest you can get to a DSLR right now. Having said that, theres not too many improvements over the S7 and majority of them only in software with additional CPU rendering that takes 3 photos in every capture, giving you the best picture. The 8MP front camera takes great selfies and makes you sometimes look a lot prettier than you actually are. It’s also the best low light camera phone in the market right now and supports digital 4k video recording with better video stabilisation than the Google Pixel. Latest hardware- The S8 comes with Snapdragon 835 graphics processor in the USA or Exynos 8895 processor for rest of the world. They use less power and provide faster graphics than last year’s flagships by almost 20%. Samsung UI – No more of the TouchWiz thankfully! Samsung Experience UI is now lighter, faster and almost bloatware free. Looks and feels similar to the Google Launcher. Bixby Assistant – Samsung’s answer to Siri and Google Assistant will have voice features later this year but can still detect objects on your screen, from your camera and help you find them on the internet. Unfortunately this comes with its own dedicated physical button that in my opinion, should have been customisable. Security feature improvements- Iris scan & face unlock is now new and improved and works even in low light. Some might not agree with the fingerprint scanner at the back however! Charging upgrade - Type C charging finally from Micro USB last year promises quicker charging (additional type C to USB and Type C to Micro USB connectors in the box). The 3.5mm earphone jack still stays and the bundled AKG earphones worth $99 are a great add on. Colour choices – Matters to some of you that the S8 is available in 5 Colour- Midnight Black, Orchid Grey, Arctic Silver, Coral Blue and Maple Gold. Battery– takes 75 mins to charge fully when the phone is switched off but 2 hours when the phone is ON! It has quick charge 3.0 but Samsung has limited the charging capabilities for unknown reasons (read the Note 7 fiasco). Disappointingly the 3000 mAh battery does not last more than 20 hours if you’re a power user. Fingerprint reader positioning- Right next to the camera lens!? Are you kidding me? 7/10 times that’s what you’re gonna touch and smudge the lens. It’s even more difficult to access on the S8+ thanks to the length of the phone. Damage prone design- A drop can easily crack the beautiful screen since there are no bezels. No scratch guards available yet and investing in a case will cover the beauty of the device. Memory restrictions – Only one variant yet with 64 GB ROM and just over 50 GB of usable space. You do get a Hybrid SIM slot to support up to 256GB though. Obviously a 128GB variant has missed the launch boat. Cost – It is the most expensive flagship smartphone right now if you ignore the likes of Vertu. Overall, the Samsung Galaxy S8 looks like the phone to beat on the market currently. Despite the minor setbacks it is still leaps and bounds ahead of the competition and only the Note 8 or Pixel 2 can hope to rival it this year, unless Apple manages to bring back Steve Jobs!